Featuring a roomy interior, firing spring-loaded shooters, and rotating turret, this little set is truly packed with wonderfully concealed features. This first image shows the roomy cockpit and storage area, where BB-8 sits during travels. 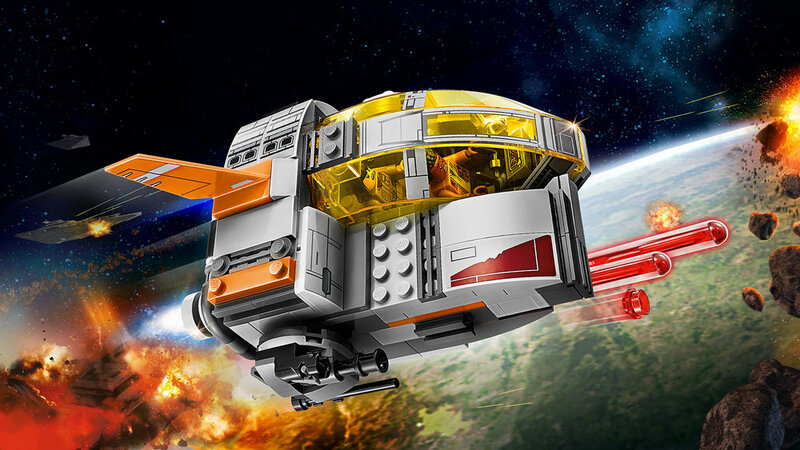 In the second picture, you can see that the rotating turret is controlled with a light gray engine piece on the back of the pod. Thirdly, the light gray technic disk launches the spring-loaded shooters that are on the very bottom of the craft. I really appreciate these functions, because they are hidden very well. There are no parts that are bright colors, or instantly make you think it must be part of a play feature. Three minifigures are included with this set, and each is pretty cool! 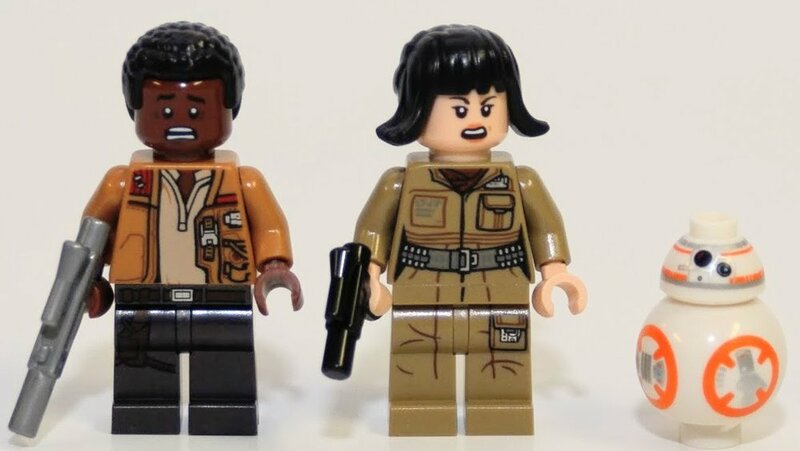 The torso and leg printing are excellent, especially Finn's! Finn: Finn's new jacket from Poe is back, all stitched up from the fight with Kylo Ren. Much of this figure of Finn is previous versions, but it's small differences that make this a new figure. The largest is the new pair of legs, which is one of my favorite generic Star Wars legs so far. 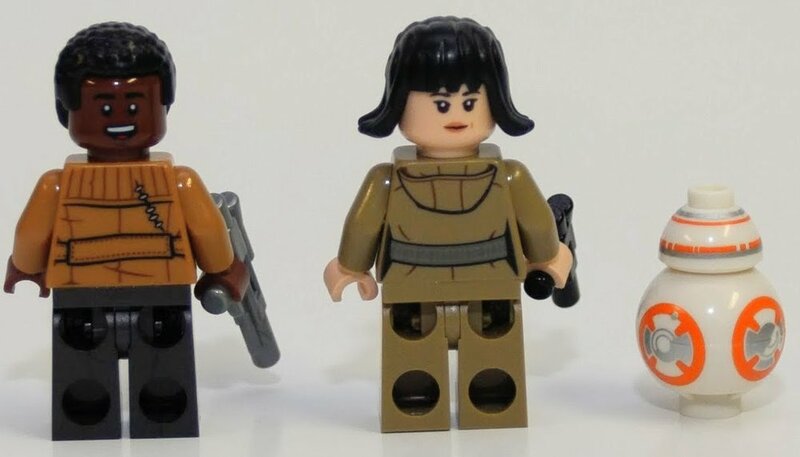 Rose Tico: Rose is a brand new character to the Star Wars universe, who will be making her cinematic debut this December in the Last Jedi (she also will be in a novel). Her hair piece is very unique, as well as her clothes. It's a great new perspective on some engineer-like robes for a member of the Resistance. 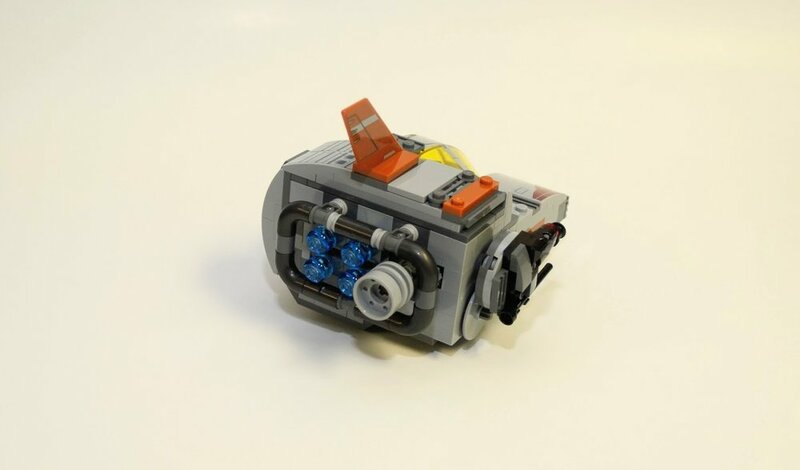 BB-8: BB-8 is not a new print or design, it is indeed the same model we have gotten in all other sets. 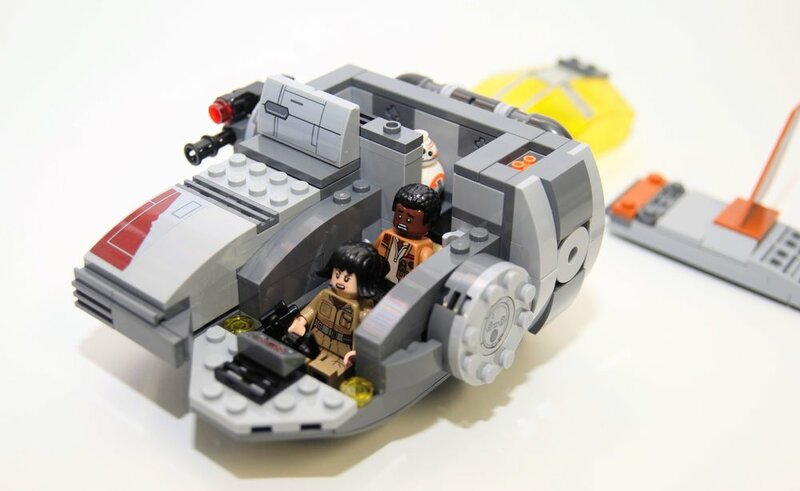 The only thing that is good is that this is now the cheapest way to get your very own BB-8 in a set (at least for now). 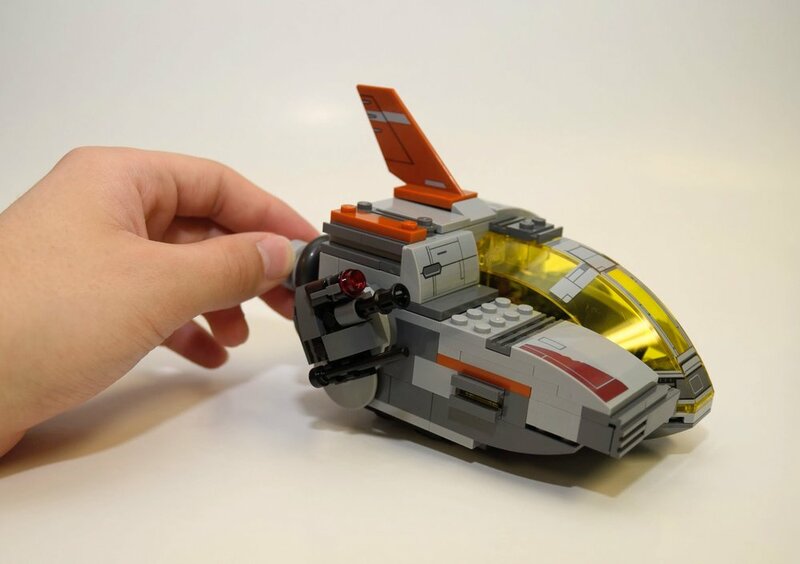 The parts included in this set are very nice, especially that large translucent yellow cockpit (that stands out to me, at least). However, there is not a single printed part in this set. 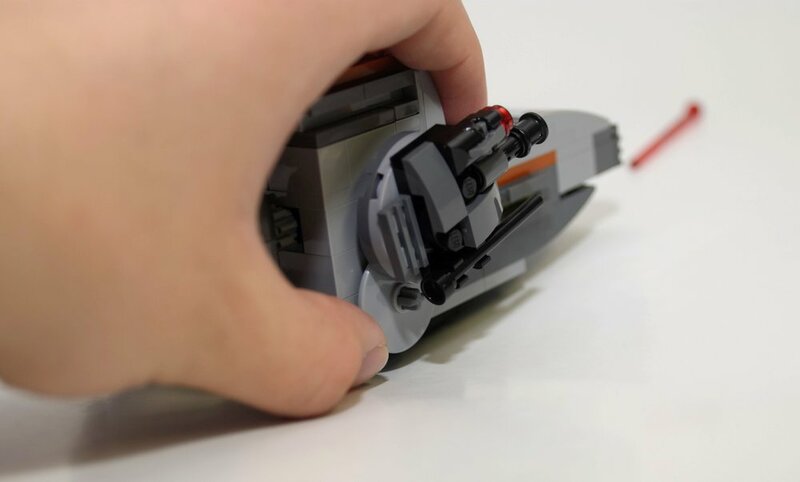 Each detailing, texturing, or design on a specific part of this ship is a sticker, even the control screen in the cockpit. The cockpit itself consists of roughly 7 individual stickers. They were not easy to place, especially because they were placed on the curved parts of the cockpit element. I definitely would have preferred to receive a printed cockpit. If you're okay with stickers, then you will appreciate this set. The price is slightly steep, in my opinion, considering how small of a build you end up with in the end. Perhaps if the pieces were printed, or another figure was included, the value of the set would meet more of my standards. What do you think of this set? Parts included: 4.5/5 Build: 3/5 Figures: 4.5/5Overall rating: I'll give it 4 out of 5 Nerdlys!